Enjoying the great outdoors is one of Australia’s favorite past times. Australia has a sparse population with plenty of unoccupied land. If you’re someone who enjoys being outside, camping and other outdoor activities are a great way to spend your time. In Western Australia, you have a range of different terrains to work with if you want to enjoy the outdoors. In some instances, you can also hunt certain types of wildlife. Fishing is also a major activity for many local campers who enjoy fresh and saltwater fish. Let’s take a look at camping in West Australia and some advice on where to head on your next trip. We’ll also provide you with additional information on hunting and camping equipment, so you can enjoy your next trip to Australia’s outdoors as much as possible. If you’ve been camping before, you know much fun you can have without having to spend much at all. If you haven’t been camping before, it’s important to know that camping is a great way to enjoy a holiday without breaking the bank. It can also help you teach your kids about the outdoors and different types of foliage and animals. Many outsiders view camping in Australia as extremely dangerous – documentaries and magazines paint the Outback as a place known for serious danger. While Australia does have plenty of dangerous animals, camping is enjoyed by thousands of families throughout the country each year with no trouble. Some people enjoy camping in rural, Outback Australia, while others want a more water-based camping experience, and the country’s beaches are always a good choice. There are a variety of activities that you can do while you’re camping. Many campers enjoy hiking, fishing, hunting, running, and swimming. You can choose to go camping in a rural area on your own, or find a campsite that has other campers and facilities. If you think you’ll want a shower and electricity while you’re camping, it’s probably best to find a local campsite. Many of these campsites are incredibly affordable – some are even free. If you live in Perth, it’s easy to get caught up in the hustle-and-bustle of the city. If you’re looking to head on a holiday that doesn’t include a cityscape, going camping is a great choice. While Perth isn’t as large as many of its east coast counterparts, it’s still nice to get away from the city every once in a while. There are plenty of camping spots near Perth; you just have to choose the type of camping experience that you’re looking for. Let’s explore some of the more popular camping spots near Perth. If you’re looking to camp inland, or you like the scenery of a natural park, the Beelu National Park has excellent facilities and is only a short drive away from the city. There are camping facilities and plenty of room for various activities. With quite a bit of foliage, this isn’t a full Outback experience, as the area isn’t full of red sand, but it can be a relaxing oasis for you. Why not come camp near us – The Great Southern Region is one of the unsung regions of the state, with plenty to see and no overly crowed come check out our quaint small towns and outdoors attractions. 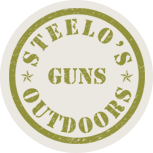 Steelo recommends the Dryandra National Park and to visit the Barna Mia Nocturnal Park and big rock and lake formations around the Great Southern area – need more information, just drop in and see the team at Steelos Guns & Outdoors in Narrogin. If you’re looking for coastal camping, you can decide to head north or south. A few hours south of Perth, Busselton and the Dunsborough region provide ample camping opportunities. While some campsites aren’t on the beach, you will have easy access to coastal waters if you have a vehicle. This can be a great place to go camping year round, though it does get frigid during the winter months. Further inland camping is also available in the region. To the north, there is plenty of coastal camping. North of Perth has less to offer in terms of larger cities, so it’s a great way to go camping if you want to be further away from civilization. Jurien Bay is a superb area to go camping if you want close proximity to the ocean. It’s also an excellent place for saltwater fishing and other water activities. If you’re a family that’s keen on remote fishing spots, Jurien Bay has plenty to offer. Further north, Kalbarri also has some camping opportunities. It is a much further drive, but if you’re looking for beautiful gorges and scenic landscapes, this is an excellent place to go. Lastly, you can always set up camp on private property. If you, your family, or your friends have private land, you could use it to go camping. You won’t have to abide by the same camping rules and regulations that you may find in organized camping spots if you go this route. If you’re going to go hunting while you camp, the best way to do it is actually on private property for several reasons. Remember, if you’re camping on private property, you need to be aware of local hazards and avoid certain areas during wildfire season. You don’t want to end up with tragic circumstances because of ignorance about the land you’re camping on. If you’re going to go camping outside of Perth, what should you bring? There’s plenty of equipment to bring along if you plan on camping. First, you should make sure to bring a tent if you plan on camping outdoors, to remain sheltered on your trip. While Australia is known for its heat, the night can get extremely cold. Make sure to bring plenty of sleeping bags and extra blankets, especially during the winter months. You’ll want to bring equipment you can use to cook while you’re on your trip. Many people bring gas stoves with them for cooking meats and certain vegetables. You should also bring food that doesn’t need cooking that way you have something to eat if your cooking equipment breaks. You’ll also want to bring flashlights and lanterns for night time – much of Australia doesn’t suffer from light pollution, so it can be next to impossible to see at night when you’re on your own. If you plan on making a campfire, you should also bring wood and fire starters to help aide starting the fire. West Australia has strict fire rules, so make sure to abide by these at all times. If you’re not allowed to start a fire, don’t, as the state suffers from some of the harshest wildfires in the world. Most campsites don’t provide equipment for hobbies, such as fishing, boating, or hiking. You’ll need to bring suitable equipment, or purchase it nearby. You can also carry knives for cutting up meat or setting up camp, shade awnings to keep the sun off your vehicle or tent, radios to communicate in cases of emergency, and more. There are tons of great accessories that can help you get the most out of your next camping trip. Lastly, bring a form of trash disposal so you can clean up after yourself when you’re done. If you’re planning on hunting while you camp, it can be a great way to enjoy your time outdoors. If you do want to hunt in West Australia, there are a lot of regulations in place to consider. First, you can only hunt on private property, so don’t plan on hunting if you’re camping on public lands or designated camping sites. You can only hunt designated pests, which include hares, rabbits, pigs, foxes, goats, wild dogs, goats, donkeys, camels, wild horse, and wild cattle. This is a strict rule, so make sure not to hunt any animals that are not permitted for hunting. You’ll also need to use a legally owned firearm, as not doing so can result in serious legal ramifications. You should only hunt when you are with experienced hunters. If you have no hunting or shooting experience, it is not safe to hunt, even on private property, so keep that in mind. Perth and the rest of Western Australia have plenty to offer if you plan on camping. Taking advantage of Australia’s vast outdoors is a great way to connect with the environment and enjoy a low-cost family holiday. Take some time to unplug from your surroundings and enjoy all camping has to offer. While many people don’t think you can hunt in West Australia, you are able to as long as you follow government regulations. There are plenty of sporting goods stores that can help you find adequate hunting and camping gear, so make sure to take advantage of your local resources before you head off on your next trip.